The bees are out again. So are the gnats. 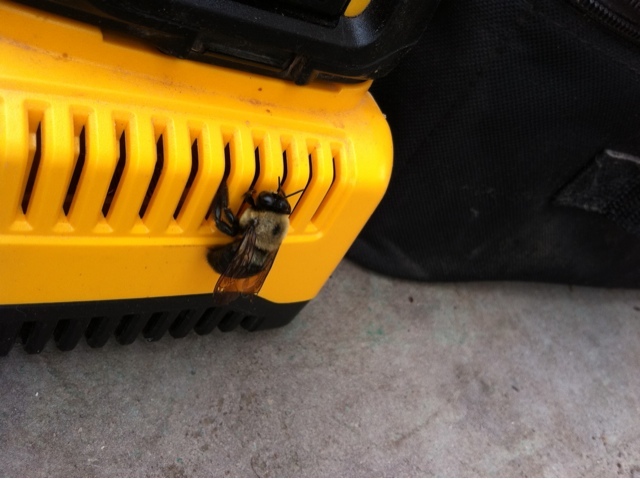 This bee seems a tad confused..not much pollen on a battery charger.